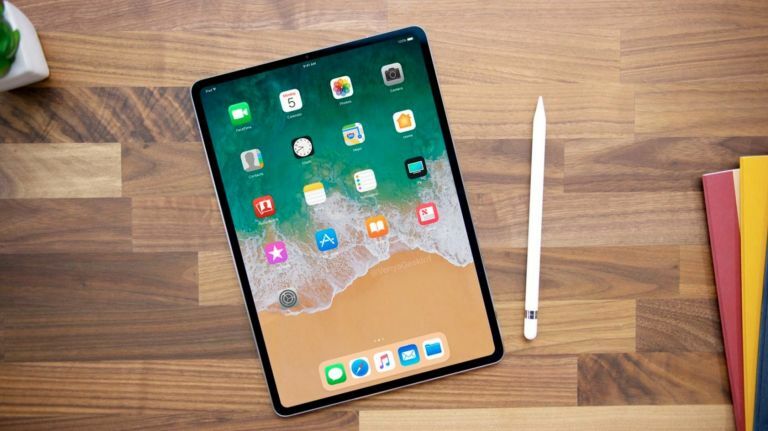 Apple has had its plans leaked once again, this time for the new iPad Pro 2018, which is expected to receive the same screen overhaul that the iPhone X brought us. That should mean the new iPad Pro will have a bezel-free edge-to-edge display, most likely OLED, which gives you more screen space for your device size. This should also mean the new iPad Pro will come packing in Apple Face ID and – of course – that infamous notch at the top of the display. This rumour first came from reliable leakster, KGI Securities analyst Ming-Chi Kuo, which was followed by more rumours. Now some code released in the iOS 11.3 beta makes reference to the “modern iPad”. Apple has begun to internally talk about the “modern” generation of devices, referring to the those that follow the iPhone 8, aka the iPhone X. This suggests the new iPad Pro 2018 will fall into that category, one that appears to be defined by the new type of screen the iPhone X pioneered for Apple. While rumours also suggest Apple is working on ways to minimise that top notch on the iPhone X, it likely won’t appear until the next iPhone, as opposed to popping up in a new iPad Pro, so don’t hold your breath for that. Apple is expected to launch the new iPad Pro 2018 around June time at the next WWDC. Failing that it may not appear until September at the next iPhone launch - which could be a worthwhile wait for those hoping the top notch gets ditched.